2010 Topps T206, the sophomore release of the classic tobacco card brand under the Topps label, offers collectors an intriguing new checklist of 300 MLB veterans, rookies, and legends. Among the new additions to 2010 T206 Baseball are American Caramel parallels and autographed cards, mini book inserts, and hobby exclusive stamp cards. 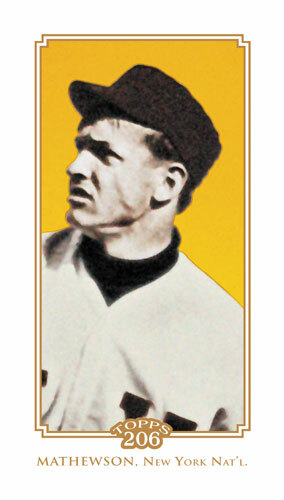 The set will also feature a host of new relics, refractor, parallels, and printing plate cards. 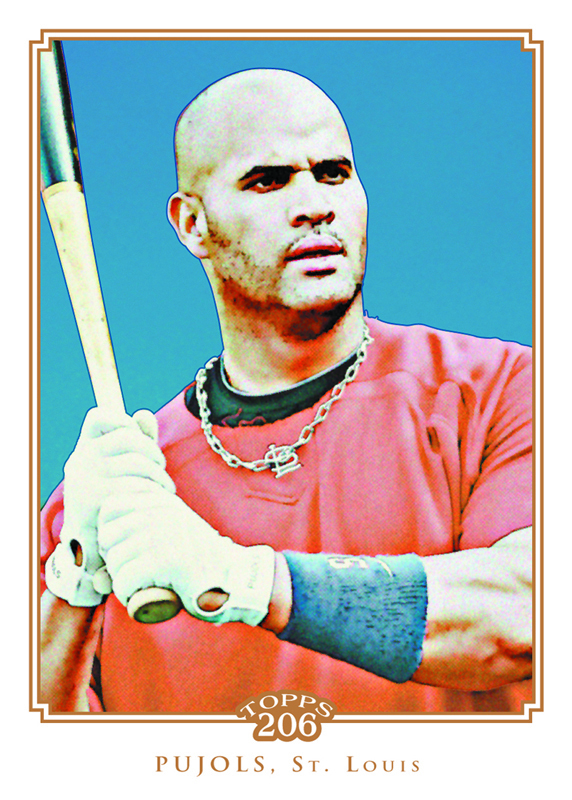 Check out the 2010 Topps T-206 Short Print Checklist here. Hobby Configuration: 10 boxes per case / 20 packs per box / 9 cards per pack. 1 Autographed Card per hobby box! 1 Relic Card per hobby box! 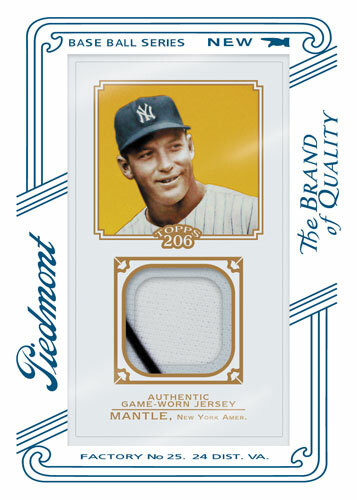 Look for new Mini Book and T-206 Dual Relic Cards. 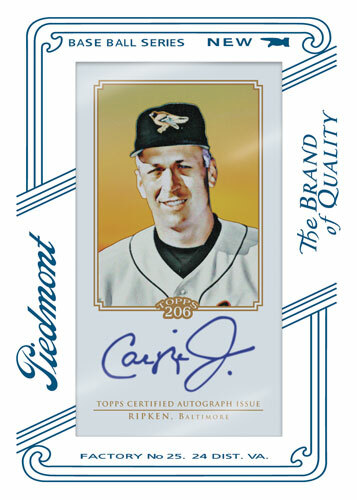 Also new to the Topps T206 lineup in 2010 are Stamp Card Inserts, American Caramel Parallels and Autographs, and T-206 Cut Signatures. The Bottom Line:2010 Topps T-206 is a slightly above average baseball card product that offers collectors a variety of collecting angles, the only problem is that unless your a huge vintage fan, those collecting angles can be hard to see. The best part about the product is the mini relic book cards, they are among the coolest mini cards in the industry. Overall, I would recommend that vintage fans check out this product, if your not a big vintage fan than I would suggest holding off until Bowman Chrome and Topps Chrome come out. The card design is true to the original T-206 set, which is cool, the only problem is that they just aren't very appealing unless you are a vintage junky. The best looking cards are the mini book relics, which feature multiple player relics in a fold out mini card. The gold chrome piedmont back mini's numbered to 50 are also pretty sharp looking. Where the set falls short is the base card design, which lacks the type of excitement you would like to see surround a products hits. 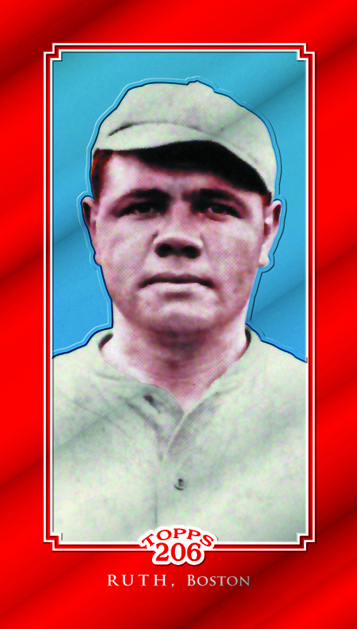 The checklist features 2010 rookies like Jason Heyward and Stephen Strasburg, present stars like Joe Mauer and Albert Pujols, and includes plenty of legends from the past like Babe Ruth and Mickey Mantle. There are almost too many levels of parallels for a collector to comprehend, but for those who get it, it offers an intriguing challenge. T-206 is a "niche" product, which means the product definitely has a following. What this means is that there is a demand for the cards, so pulling a low numbered card could make for a decent return on your investment. The inclusion of Heyward and Strasburg gives the product a slight boost in value, which wasn't the case in 2009 due to the extremely weak rookie class. As I noted above, you either get it or you don't. To those who are fans of the T-206 line of cards, there are a ton of collecting angles that are sure to please, whether it be something as simple as building the base set with short prints or something more challenging like putting together the Gold Chrome Piedmont mini set. For those who aren't fans of the product, the primary collectability would be found in the Heywards, Strasburgs, and mini book relics. 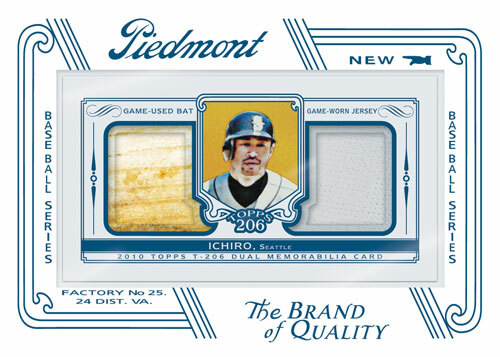 2010 Topps T-206 is a fun product, but lacks an overall excitement outside of the mini book relics, low numbered mini's, and autographs. 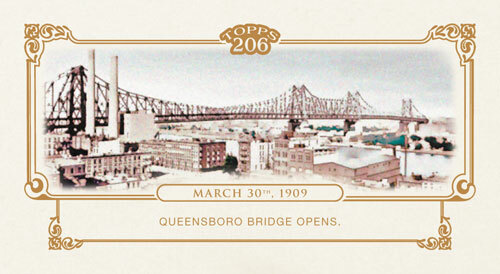 T-206 wasn't near as enjoyable as this year's Allen & Ginter, at the same time I think that the mini book relics are as cool as anything you can pull out of A & G. T-206's underlying theme is one that vintage collectors and old school collectors will enjoy far more than those who started collecting between the 1980's and 2000's. 2010 Topps T-206 Baseball Hobby Box - Factory Sealed! 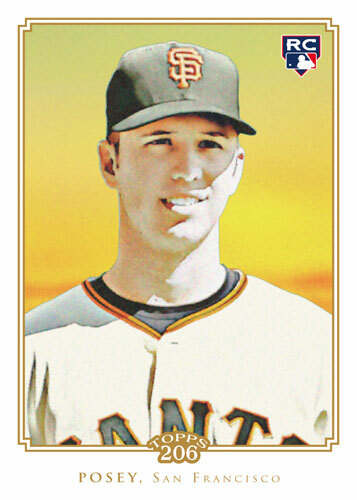 I actually think this would be the Junior release of T206 for Topps least we forget there outing in 2002. Doesn’t look like they are straying to far from the formula here either. Just nothing can compare with the breathtaking beauty, difficulty to assemble, variety, presentation, and selection of stars in this wonderful set. Some folks will wake up ten years from now and understand this to be as scarce an assemblage of hard to find issues as the 1909 set. And that, folks, is the point. This set was intended to mimic and/or rival the original set. Finding some of these issues is very difficult. Makes collecting the minis, especially, loads of fun. Personally, I know of noone who has attempted to assemble this set. Be fun to find one brave enough to try. Thanks Topps for this set, and 2002. Loads of fun.